Fashion from the Hart is my personal blog dedicated to one of my greatest loves, fashion. 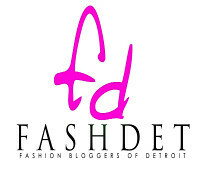 The idea to create this blog dawned on me one day as I was reading my normal list of fashion blogs and I decided that I too wanted to share my love for fashion with the world, creating Fashionfromthehart.com. My blog is dedicated to all things fashion ranging from my own personal style, fashion inspiration, and covering various fashion events throughout the world. I am a graduate of Howard University, now living in NY to follow my fashion dreams. I've always been interested in the world of fashion as fashion allows people to truly tells others about themselves simply through what you wear. I aspire to on one day to own my own high end retail boutique. I get inspiration from everywhere: the people around me, the colors of the changing seasons, celebrities, old pictures of my parents, and anything you can think of. I love that there are no limits with fashion; you have the freedom to be who you want to be whenever you want to change it up. Take risks, be daring, do whatever you want. I would like my blog to allow me to be able to connect with people worldwide as we share our own ideas about fashion. I hope you enjoy and feel free to share your feedback! Keep this going so I can have a place to look for inspiration, or "window shop" via internet lol. Go Jas! 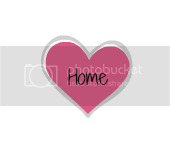 Love your blog; it has inspired me to get back to my blog. Shout out to the hilltop for bringing me here.